My sink in kitchen you place this in bottom of opening to close it. I have to sinks in kitchen one on right has disposal beneath it, one on left has a not a disposal. I can place this sink stopper, on either side as i like. It is in the kitchen sink , it closes it when not in use. I did not like the sink piece i had it was probably someone elses or not the right type. Or could have actually been dirty from prior people living in the home before us, so out of cleanliness i didnt know if it was clean so i baught this . We are a global company with operations in San Francisco, Kentucky, Hong Kong and China selling a broad assortment of products sourced factory-direct from suppliers in China. Everything you get from Unique Bargains is factory-direct from high quality suppliers in China and priced accordingly. For customer service inquiries or to initiate a return, please contact Unique Bargains at overstock.unique.bargains@gmail.com or 415-610-5291. 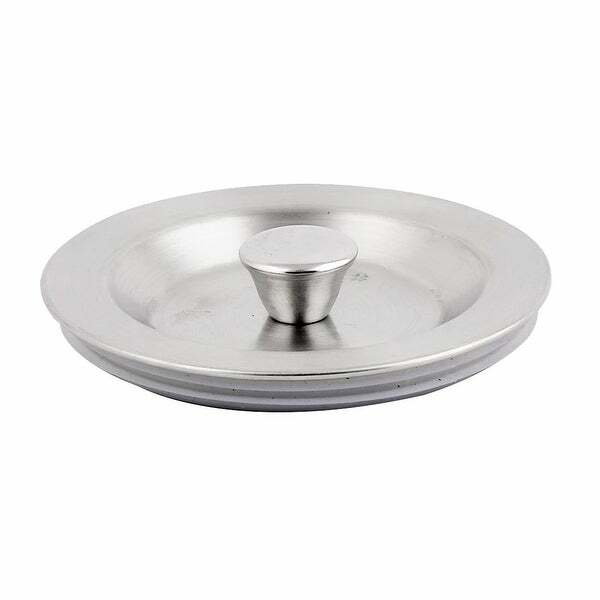 The Good Cook Kitchen Sink Stopper Sets easily covers your drain or disposal to stop water flow. This stopper fits most standard sink drain openings. Perfect for those wanting one in the kitchen and one in the laundry room. Good Cook stands behind its products and offers a lifetime satisfaction guarantee. Do not get caught out any more with those hotel or dorm room drains with no sink plugs.